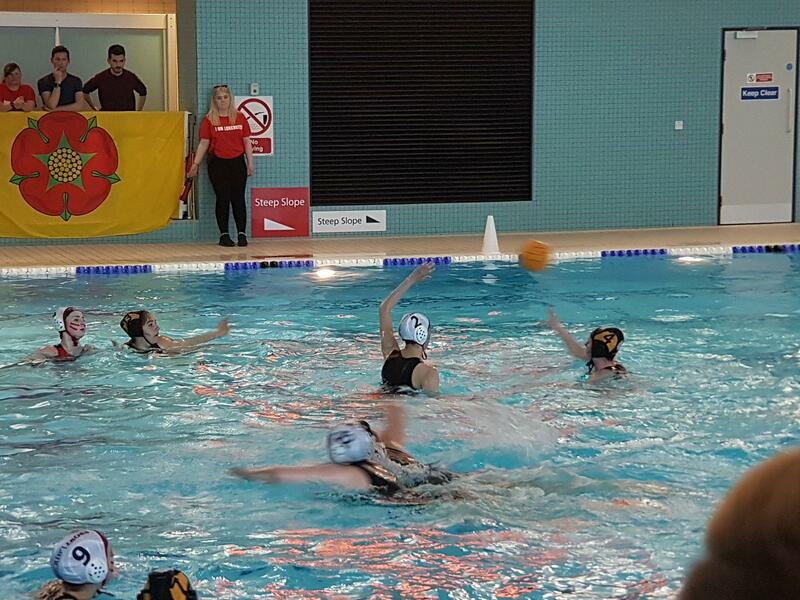 In the sweltering heat of the swimming pool, the red and white teams clashed, in a game that Lancaster eventually won convincingly, after a shaky start. The game opened with two York Goals, putting the Lancastrians on the back foot from the word go. York maintained its lead well in the second quarter, despite an impressive lengthy shot from Lancaster number nine just before the first break. One of the most effective players for the visitors was number nine, who stuck around deep in Lancaster’s territory; her persistence payed off whenever long shots ricocheted from the bars, giving her the chance to slip the ball into the net. Her most effective rival was Lancaster five, who may well have scored more goals than the rest of her team combined, though two and four were also notable contributors to the total. For an unfamiliar observer, the intensity of water polo was unexpected. In a small pool the levels of contact are high, and the velocities higher. Despite the pleasant symmetry of York ten scoring the tenth York goal, by the middle of the second half it was clear that Lancaster’s lead was unassailable. By the time the final whistle blew, it was an undisputed win for the forces of the Red Rose.